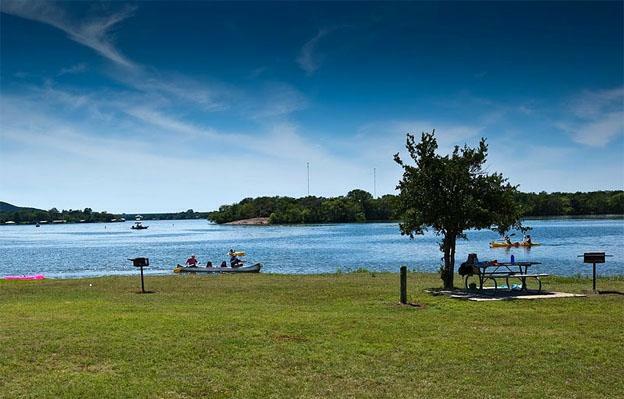 When taking a trip to the lovely Inks Lake, the water may be the place one desires to spend most of their time, but there are a few places worth venturing to nearby. To get the most enjoyment possible out of a Texas Hill Country visit, consider these two side trips to experience museums, rivers, wildflowers, and more of the great scenery the state has to offer. The town’s motto is, “Where the rivers flow and the wildflowers grow,” and citizens could not have chosen a more appropriate slogan to describe their amazing town. This community is located a few miles southwest of Inks Lake and situated near Lake LBJ, and the Colorado and Llano Rivers intersect here. Water sports are popular year round, and fishing is a favorite of the locals and the majority of residents own a boat. Eight amazing and colorful species of wildflowers bloom in large patches throughout the town and its surroundings. The blossoms appear March through May, but April is the best time to view this phenomenon, when the blooms are so plentiful they literally establish a blanket on the ground. In Kingsland, make sure to stop at Lookout Point to view the millions of years old cliff formations, and scientist from around the globe constantly study its composition. Just north of the city proper, visitors can spend the day at The Slab, a large sandy beach on the Llano River. The shallow water is great for wading and an excellent spot for children to enjoy the water. Numerous interesting shops dot the area, and visitors will find several art galleries as well as encounter the Kingsland Antique Mall, where several vendors are conveniently set up in one building. Before leaving town, make sure to stop by Lone Star BBQ on Highway 1431 where they cook up tender, juicy smoked meats and offer homemade side dishes. This is one of the largest communities close the stunning Inks Lake, and is a wonderful place to spend an afternoon exploring the region. Museum fanatics can enjoy the Highland Lakes Caf Air Museum to see relics of the past including military equipment and several vintage aircraft. Take time to visit the Fort Croghan Museum and learn how the first settlers of the 1800s received their protection from invaders. The best place to find a place to eat and shop in town is in the historic downtown area, where many quaint shops are filled with antiquities and handcrafted items. One place to do it all is at Tea-Licious on Main Street. Resembling a European tearoom suited for royalty, this small parlor offers great food, specialty teas, and features numerous items on display for purchase as a souvenir of traveler’s journeys through Texas. The Perissos Vineyard is only 13 acres of pristine vineyards, but their wines offer a much larger flavor to visitors. Tastings occur in the main processing area, and tours include an information-packed session concerning the trade of wine making. Make sure to pack a picnic lunch to enjoy on the grounds, where guests have a stunning view of the amazing Falkenstein Castle. Inks Lake is an ideal setting to enjoy a vacation, and when travelers are not enjoying the lake’s superior fishing, swimming, and boating, these fascinating side trips are sure to please. Between the great activities, interesting sites, and glorious water activities, guests often have difficulty going home. Written by Tracey Louis, a big fan of travel, former innkeeper at Lake Buchanan and mom-to-be. She continues to promote tourism for the area. For more information on upcoming events at The Highland Lakes, go on Facebook or on Twitter.